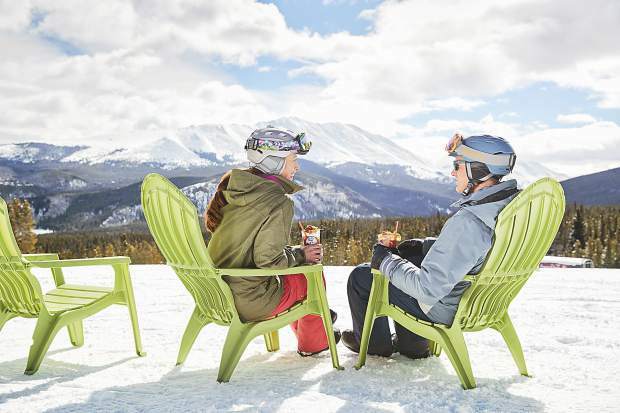 Members of Arapahoe Basin Ski Area's ski patrol chat near the top of the Pallavicini Chairlift on the morning of March 9. 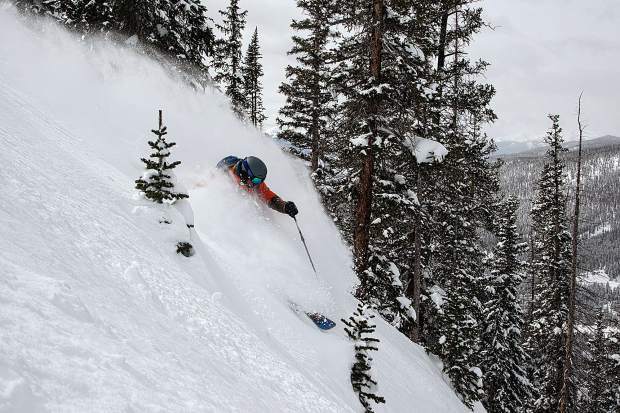 These bluebird and deep powder conditions greeted guests to the ski area after A-Basin remained closed the two days prior due to avalanche concerns specific to two known US-6 from the ski area: The Widowmaker and the Little Professor. A skier takes full advantage of the fresh powder at Arapahoe Basin Ski Area on the morning of March 9 after the ski area remained closed the two days prior due to avalanche concerns specific to two known avalanche paths across US-6 from the ski area: The Widowmaker and the Little Professor. A skier descends a portion of Arapahoe Basin Ski Area's East Wall terrain on Monday, March 4, three days before the ski area closed for two consecutive days due to avalanche concerns specific to two known avalanche paths across US-6 from the ski area: The Widowmaker and the Little Professor. A skier makes a turn in fresh snow on Thursday at Arapahoe Basin Ski Area. The ski area closed early on Wednesday, at 2 p.m., due to potential avalanche danger during Wednesday's storm. Wednesday's early closure along with the previous week's two-day closure has resulted in an unprecedented two-week stretch at the ski area at the Continental Divide. It also comes in the midst of some of the heaviest March snowfall A-Basin has seen in recent years. 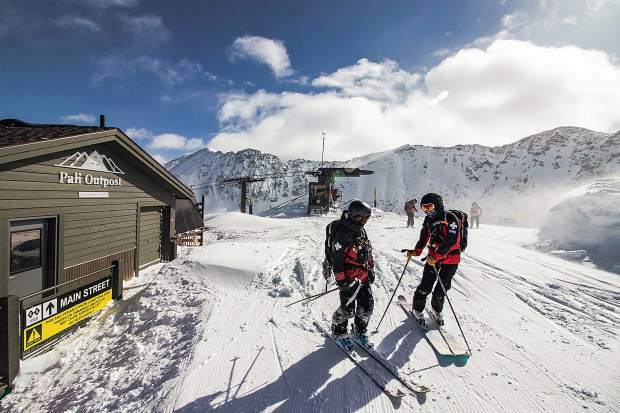 Just what does it take to close Arapahoe Basin Ski Area? That’s the question many Summit County locals, transient visitors and online commenters had this time last week after the ski area near the Continental Divide remained closed for two consecutive days. A-Basin closing early? Though that’s also rare, it’s happened before due to rare instances of dangerous avalanche conditions along US-6. But to be closed for more than 48 hours? It was truly unprecedented. “Really rare” — as in last week was only the second time in Evanczyk’s near two-decade tenure at A-Basin he can remember the “Widowmaker” path 1 mile west and down the road from the ski area covering the highway with avalanche debris. The Widowmaker is an extremely dangerous south-facing gully that also covered Highway 9 with avalanche debris once prior, to Evanczyk’s recollection: in February 2014. The Widowmaker and a path that descends directly across the highway from A-Basin, the Little Professor, were the two primary culprits behind the ski area’s two-day closure. Three days before the closure though, on Monday, March 4, was when Evanczyk saw the first data point of measurement that suggested to him it could be a week of high avalanche danger. Just about 2 inches of water had descended on the ski area over the weekend, an alarmingly high amount of moisture within the snowfall for just a few days. Fully alert to the potential dangers that lurked in the ski area’s boundaries and directly out of bounds, Evanczyk and A-Basin’s crew of snow safety and ski patrol personnel undertook their typical mitigation work over the next few days. They assessed where within A-Basin’s operational boundaries avalanche danger was highest due to the wind-loading of the wet snow, among other factors. From avalanches, to wildlife to Red Gerard, Summit Daily editors Antonio Olivero, Susan Gilmore recap the first half of March’s newsworthy madness. Which leads to Thursday morning. Another wet, overnight storm dumped even more potentially unstable snow at the ski area. A-Basin’s forecaster was the first to arrive at 5 a.m., like any other day, developing a weather and avalanche report for the ski area. And boy was Thursday morning a big morning. That was the premise Evanczyk and A-Basin worked under until the ski area got word that the Colorado Department of Transportation was going to be “shooting” the Widowmaker and Little Professor that day as part of their avalanche mitigation work. At that juncture, the ski area and CDOT coordinated efforts. “It’s not every day that they do mitigation on the highway,” Evanczyk said. From there, in a wait-and-see situation due to CDOT’s plans, the ski area focused on transporting essential employees up to the Basin where they’d quarantine inside the A-frame at the base area. Any and all employees on the lower mountain were transported to the A-frame because of its eastern-most location within the base area. That far east, the A-frame was deemed out of the way of a potential debris field due to a Little Professor slide. For comparison, A-Basin’s Early Riser parking lot and the bottom of the Pallavicini lift were deemed to potentially be in the slide’s path. While that was going on at the bottom of the mountain, at the ski area’s Snow Plume Refuge near the top of the Lenawee Mountain lift, Evanczyk had an all-hands-on-deck group of ski patrollers ready to run avalanche mitigation routes from the top of the ski area. That was despite the fact that A-Basin wouldn’t be able to use the Pallavicini lift or the Montezuma lift due to the day’s inclement conditions. The team also couldn’t egress through the base area due to the avalanche danger from across the road. In the middle of ski patrol’s morning mitigation work inbounds on Thursday, CDOT shot the Little Professor as part of its mitigation work. But nothing slid. 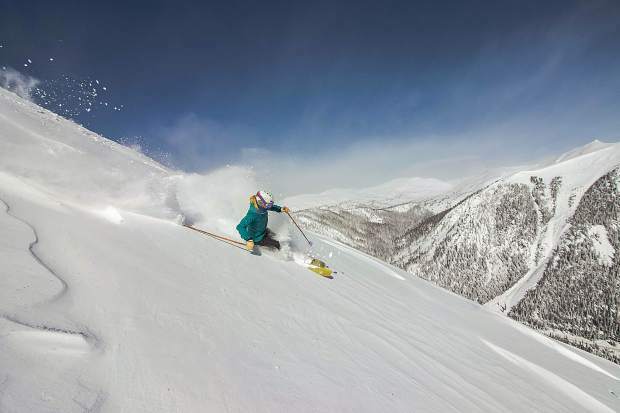 It was at this point CDOT and A-Basin decided it was best not to open the ski area on Thursday due to continuing concerns with the Little Professor. With the mountain officially closed down to guests for the day, A-Basin shuttled employees in caravans down the mountain at 2:15, 3:15 and 4:15 p.m. The shifts, Evanczyk said, were to limit exposure to a potential slide on the Little Professor or the Widowmaker, as the stormy conditions were forecast to continue into the night. 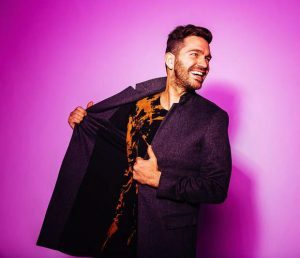 Evanczyk considered staying put overnight at the A-Frame along with A-Basin’s boss of bosses, chief operating officer Alan Henceroth. 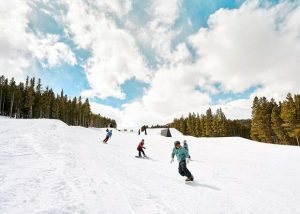 But Evanczyk headed down to Keystone to rest before a Friday morning that he knew would be loaded with mitigation work. When Friday morning came around, there was an atypical objective for Evanczyk and his crew. 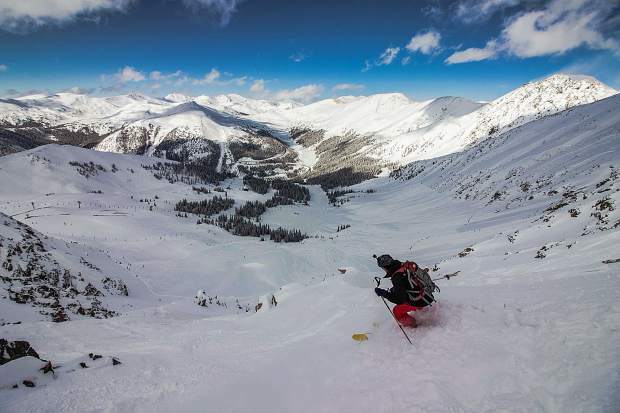 Along with mitigating avalanche terrain inbounds, A-Basin sent a crew of six ski patrollers along with Evanczyk to the top of Loveland Pass to conduct mitigation work at the Widowmaker and Little Professor. Working with CDOT, the group skinned in to the start zones of those two slides around noon to deploy even larger explosives within the paths. With visibility opening up, Widowmaker slid but the Little Professor did not. Evanczyk said it was determined after the mitigation effort that the Little Professor did not continue to pose an avalanche risk. This was partially because of the mitigation work CDOT conducted in the path earlier in the season. Then, observing the debris littered in the highway from the Widowmaker, Evanczyk and the rest of A-Basin’s personnel realized it was going to take more time than expected to dig the highway out from what Evanczyk estimated was a 30–40-foot deep snow mound. 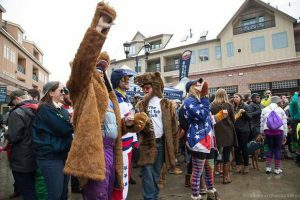 For Evanczyk and A-Basin, it was worth the wait.